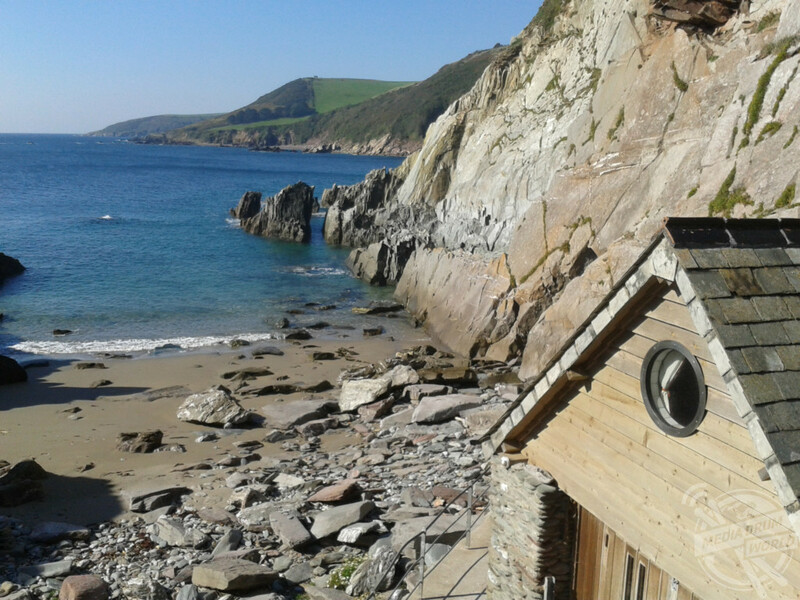 THIS STUNNING Devon Beach Hut comes complete its very own PRIVATE BEACH where you can now escape civilisation for the perfect off-grid romantic getaway from just £325 per night. 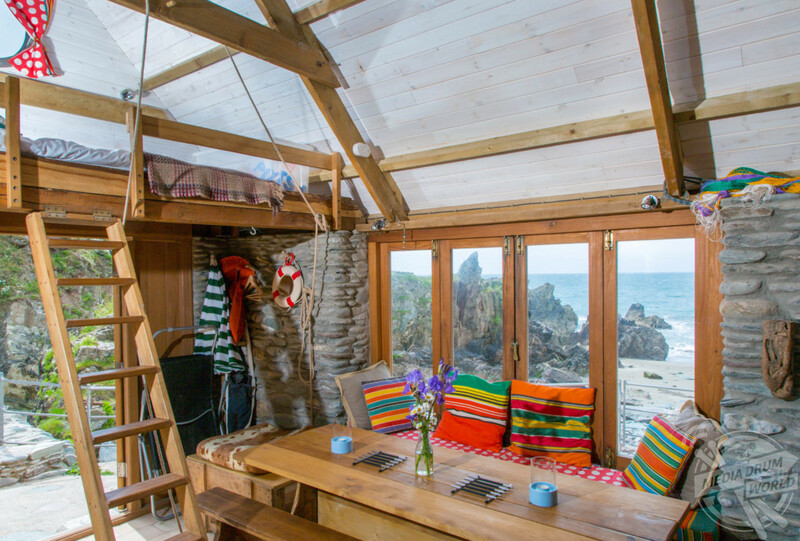 The self-sufficient solar-powered Carswell Beach Hut is described as a grown-ups only romantic cabin and sits right on the coast just outside the village of Holbeton, nestled away in a secret love cove. 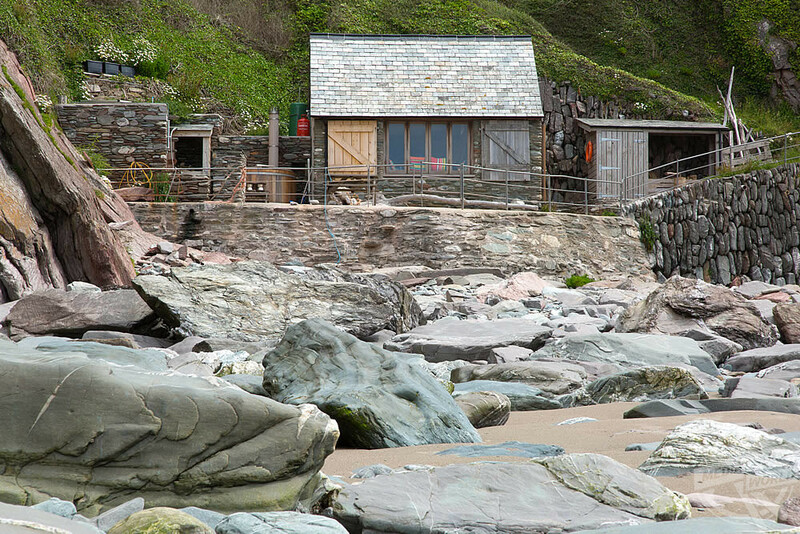 Images from the exterior of the property show just how secluded this cosy little cabin is, sat above the head of the beach below, with stunning views from the wood fired outdoor hot tub. 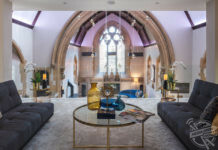 Photos from inside reveal a simple and beautifully crafted interior, which includes a mezzanine bed, and stunning wood burner. 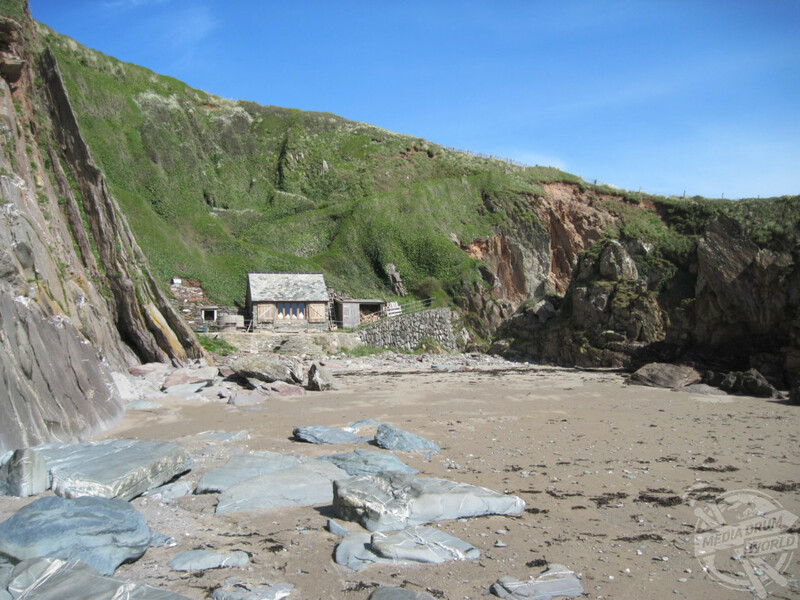 This property is certainly suitable for those who want to escape the everyday life, as guests arriving at the allocated parking spot can walk just a few minutes down the winding cliff path to reach the sea. Inside the property is a beautiful wooden dining table that sits in front of tall windows that offer a view straight out to sea. 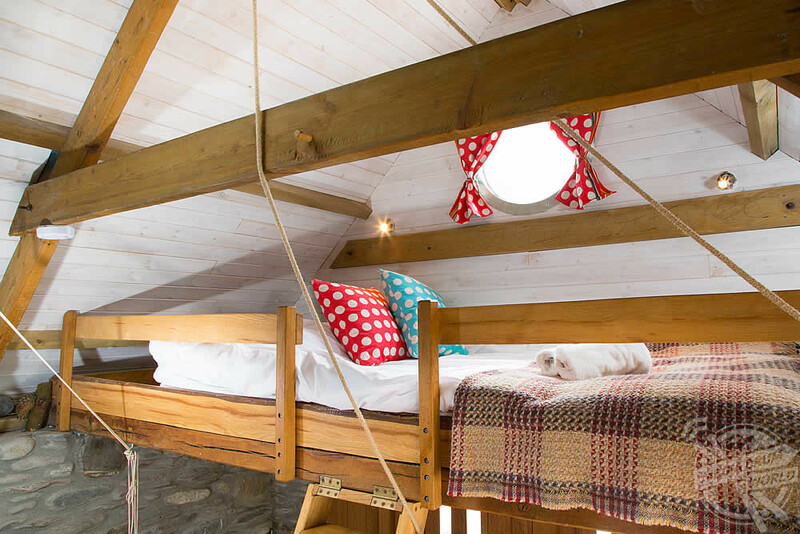 The mezzanine bed is reached via a small ladder, adding a touch of fun to the property and making it feel even more special. 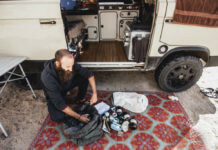 A well-equipped kitchen area is decked out with all the essentials including a gas hob, a gas collant fridge, crockery, cutlery and pans, as well as a sink with running water. 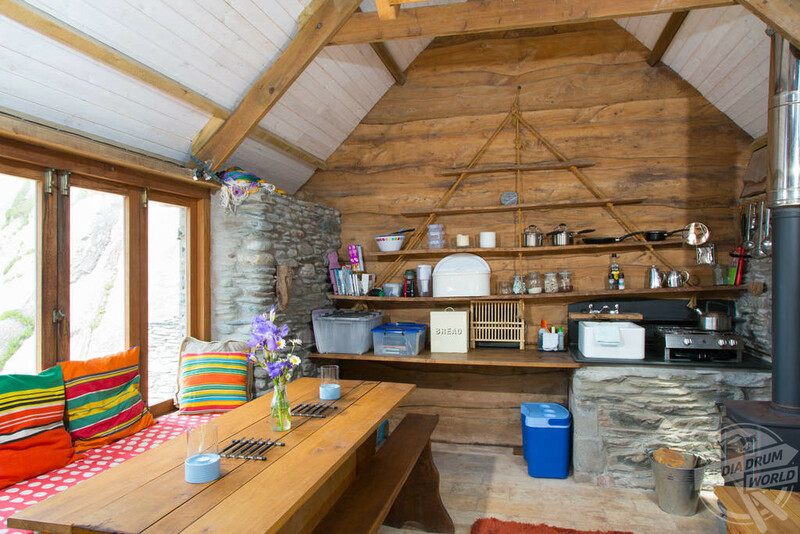 Carswell’s isolated location also mean that there is solar power for lighting rather than mains electricity going to the property meaning that visitors use a gas hob for cooking, outdoor shower and compost loo which sits in a shed behind the hut. 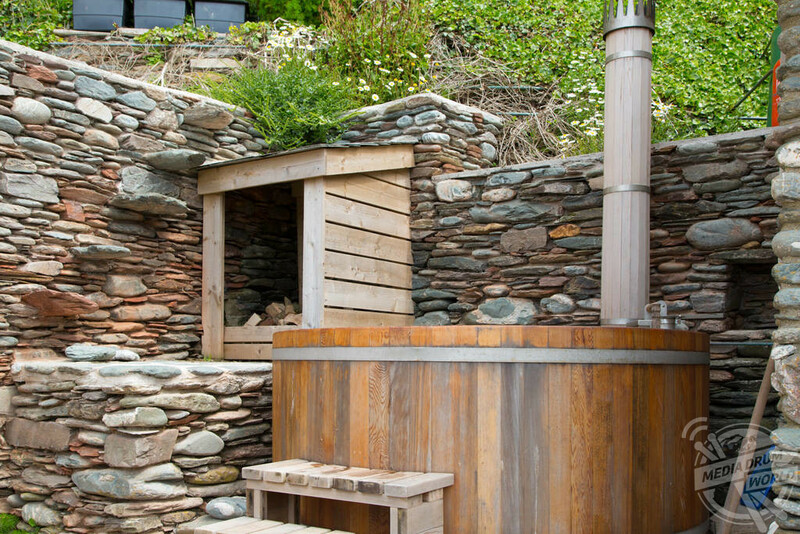 The traditional wood fired hot tub along with stunning indoor wood burner, also doubles as a boiler providing hot water for the outdoor shower, which means guests certainly won’t feel like they’re slumming it. 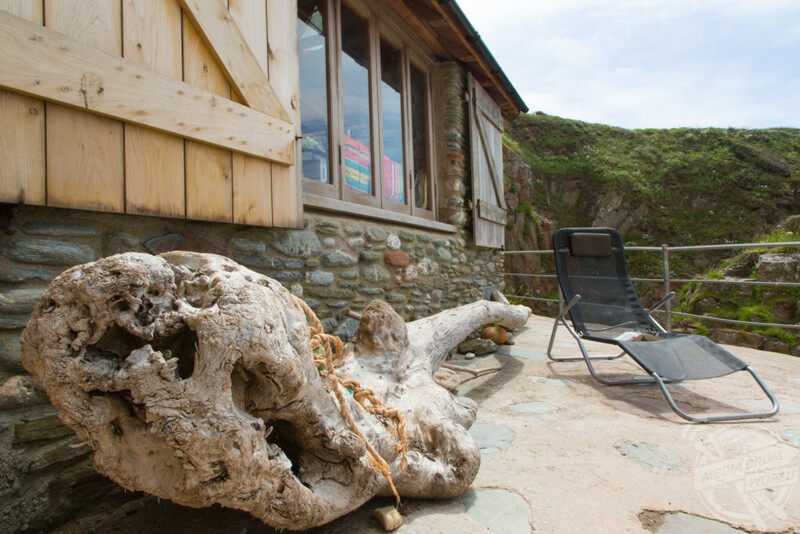 There is also a barbecue provided, giving guests the additional dining option of cooking on your very own personal beach-front whilst watching the waves crash down on the nearby rocks. If for some reason you felt the need to drag yourself away from this idyllic location, then there is plenty more to do in the local area. An organic farm shop is just a ten-minute car journey and full of supplies to stock up on if you haven’t already ordered one of the amazing hampers or called to have a cream tea waiting for you upon arrival. 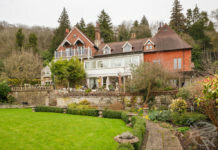 From here there are a number of beautiful countryside and coastal walks in all directions with a number of traditional village pubs littered along the way. 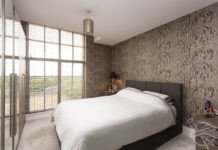 If you wanted to escape nature for a while, then the city of Plymouth is just nine miles west where there are a number of attractions from shopping and eateries to museums and galleries.